What is paper currency (banknote) made of? Paper money or banknotes are made from materials different from those found on ordinary paper that we use everyday. This is crucial since banknotes are handled every time by different people. There is a need for these to be sturdy enough to withstand crumpling, rigorous handling, and scuffling into pockets. Paper money should also be able to thrive against the elements and climate conditions that deteriorate ordinary paper. Most paper currencies are made up of 75% to 80% cotton. Paper made from cotton (cotton paper) is said to endure hundreds of years of wear and tear. Moreover, paper deterioration is less obvious in cotton paper. As such, this type of paper is the one used for archival purposes, aside from in banknotes. It is said that a percentage of cotton content in a piece of paper adds one year of resistance against damage. The remaining 25% to 20% material content of paper currencies is a toss either between linen and abaca. Other textile materials made be used or incorporated, but linen and abaca are the most commonly used fibers. The new Philippine banknotes / paper currencies are made of 80% cotton and 20% abaca. The use of abaca instead of linen is a fitting material for our own currency since abaca is one of our raw products. I am not sure what other material was mixed in the old currency, probably abaca as well. So last week, after spin-drying our clothes, I found this inside the tub. Take note, it in the spin-dyer then. 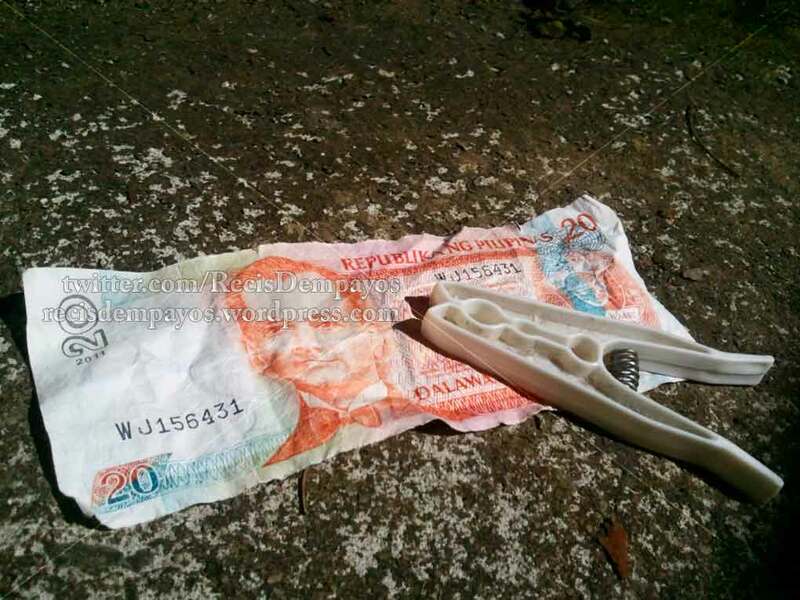 That meant that this particular old 20-Philippine-Peso bill went through four cycles of being in the washer and two cycles in the spin-dryer. Viola! It’s still intact! Not only that, it’s now cleaner and better-looking than before, although it’s been crumpled. Nonetheless, it survived rigorous punishment.